In the age that we live in, old ways just don't work anymore. Your website, no matter how awesome it is, and your instagram posts are not enough to move product off your shelves. No matter what you're selling - you should be engaging and building relationships with influencers. 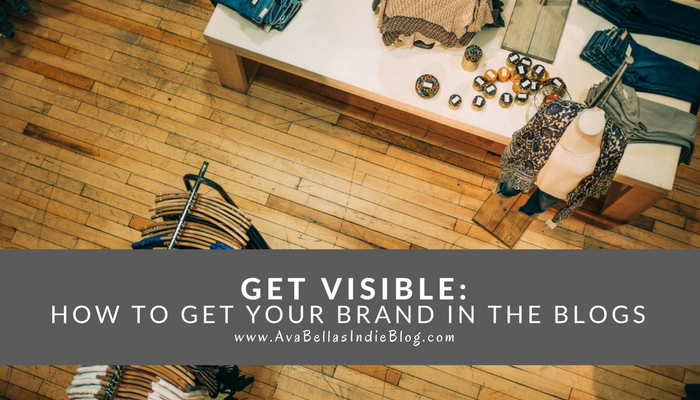 I want to provide you with a few tips on how to get your brand visible in the blogs. 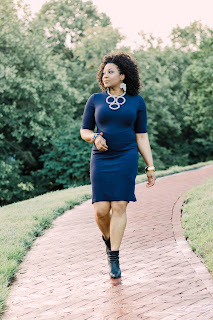 In this post, I'm speaking from a few layers of experience - I've been on both sides. When I released my first studio recording, I knew that if I wanted to get more people to my website to just listen, let alone buy, I needed to be seen. If I could get one blogger or media outlet to talk about me and my music, the chances were greater for me getting other bloggers who would do the same. Fast forward. It's a year after releasing the project and I launch AvaBella's Indie Blog. I've seen it all. I've gotten emails about just about everything. No lie. From music, to candles, to events, to pillows, to body creams, to hair products, to beard balms, to nonprofits, to crowdfunding initiatives, to cupcakes in a jar; you name it; I've seen it in my email. So let me cut to the chase and help you out. Here's a few things you need to know about getting your brand in the blogs and why the heck it's so important anyway. Why is it important? | Can't I just make good music? My crochet hats are super cute; won't people just buy them? Why can't I just use my facebook page? Or facebook marketplace? Isn't my instagram enough? Follows and likes don't make you any money hun. Well, not all by themselves. Remember that old phrase, "word of mouth"? Do you know how to reach beyond your immediate circle of influence? When one blogger who is a trusted thought-leader talks about your brand and shares your brand with their audience; it starts a domino effect. That's why bloggers are referred to as influencers - they have influence. How do I pick a blog/blogger? | Most bloggers who have a following and consider their blog a business have a media kit or press package that details who their audience is. Are their readers male, female, 20's, 30's? What are their interests? What does their audience shops for? You'll find your answers by requesting this, if their is not already a link on their blog menu. You may also be able to see things like other brands they've worked with, their social media reach, and how many email subscribers they have. You can also find bloggers right in your own social feeds. If not, you can search for them via google search or right in social media platform search bar. Just type in the words blog or blogger and watch the magic happen. What is the cost? | Please understand up front that you are paying for a service. Some bloggers will even put their service list right on the media kit with pricing. Bloggers will charge anywhere from $20 to $50 per hour for a post that may take anywhere from 4 to 12 hours to research for, write, proofread, edit, photograph and edit product images, and then promote to their following via social media and email. This all can depend on how long they have been blogging, their total social reach and/or subscriber count, and how many people visit their site monthly. There are so many variables and bloggers have their own way of coming up with their price. Please be fair and respectful. Just as you have taken time to develop your brand; so have they. Do all bloggers charge? | The best answer is no. A blogger may ask for you to pay for the cost to ship the product to them and possibly that they be allowed to keep the product in exchange for reviewing it. This is one scenario and if you're just starting out, this may be what works for you. Another way some bloggers are compensated is with product plus a smaller dollar per hour rate, or even a flat rate to review. There can always be any combination of these offered. Be open to that. Do your research. If they have client testimonials available, read them. If they don't, look at their social media? Search their name. I also encourage you to have an agreement of some kind. It's still business. I have to follow with, in business, you get what you pay for. Again, don't forget to be fair with your compensation offer. How does it really work? | If you're just starting out, you may, or may not have a marketing budget. NEWSFLASH - you need a marketing budget and bloggers, YouTubers, and social media influencers should be apart of that budget. Still, new marketing methods and means don't work alone! Having social media does not mean you should not still utilize tried and true methods like radio and print publications; these should all be a part of the saaaaaaame plan. So know that you will give away some product, you will quite possibly pay to reach an influencer's twitter, instagram, and facebook following, and you will absolutely need to cross promote. It's called social media. Build a relationship - ahead of time. READ their blog - this is how you'll get to know if your brand is good fit, and if their blog is a good fit for your brand. Interact with their followers who retweet, repost, and share the review. Actually, do this ahead of time! Comment on the review once it's posted. Answer the questions about products; be a part of the conversation. What should I expect? | There are no guarantees Hun! I wish I could say otherwise because that would be a perfect world, right? Here's the thing, the more you circulate your brand name and enter into partnerships that organically allow for more eyes to know about it; you've won. That is the point. People read blogs to get product information when they are already in the midst of the buying decision. We now live in a customer centric time when brands have an opportunity to gain market metrics in the moment. A blogger talking about your product in an already noisy market, may just be the cosign you need to have customers flocking. Use it to your advantage. If you have a blog of your own; post the review there. If you don't you may just need to chat with a blogger for a consultation on how to start one 😉 . I hope this inspires you to partner not just bloggers, but influencers of all kinds to GET VISIBLE. I hope this post has answered a few questions for those of you who want to make blog reviews and mentions part of your marketing plan. I am open to getting more detailed if you all have questions for me. If you're wanting to start your own blog, but don't know where to begin; please reach out. If you are interested in brand partnership, let's talk about that as well. I'm a CLICK away. Don't hesitate.